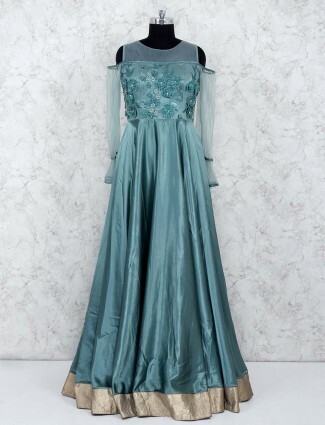 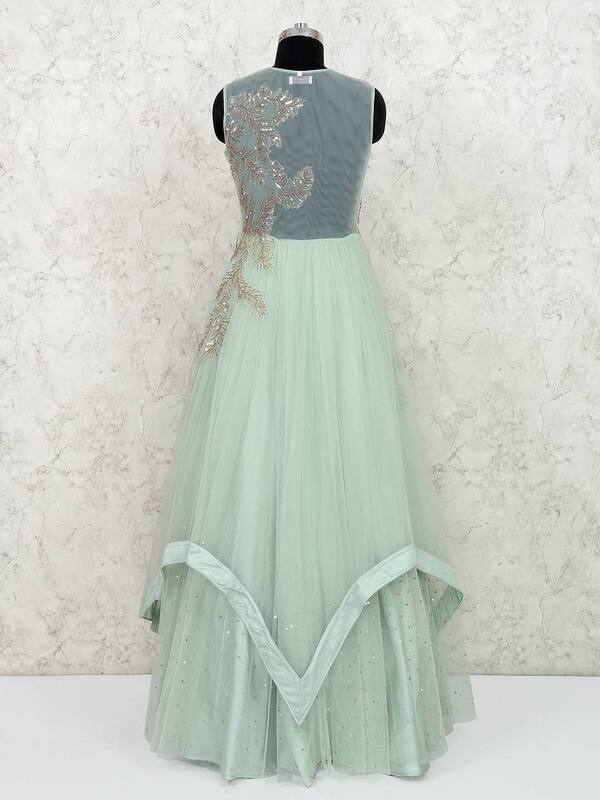 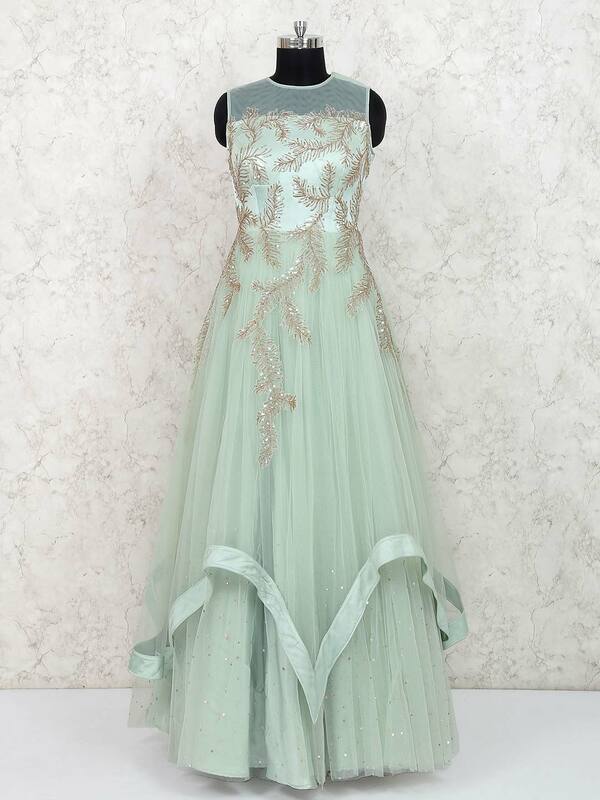 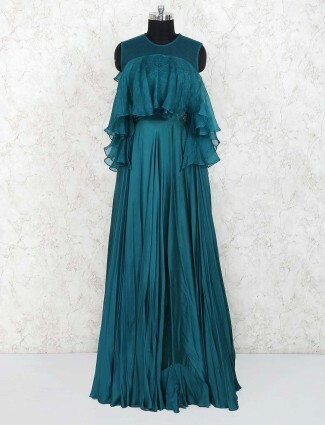 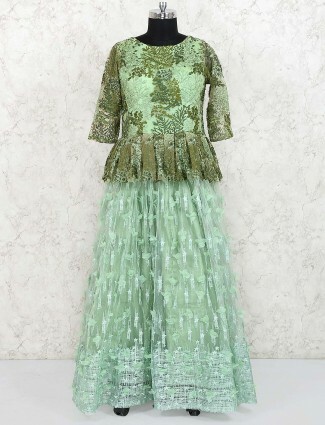 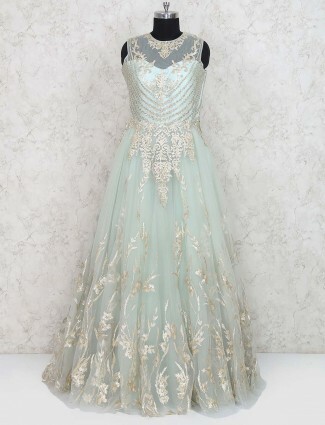 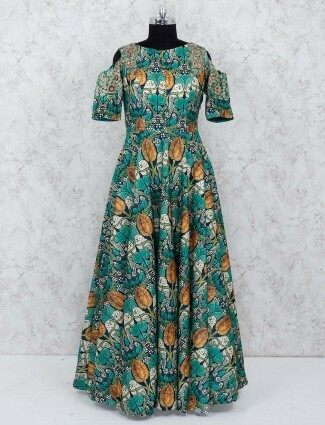 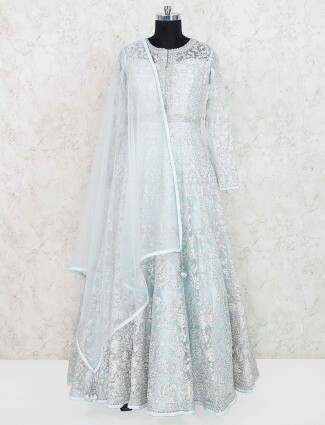 Mesmerize the party with gleaming beauty by adorning this gorgeous designer green colored net gown. 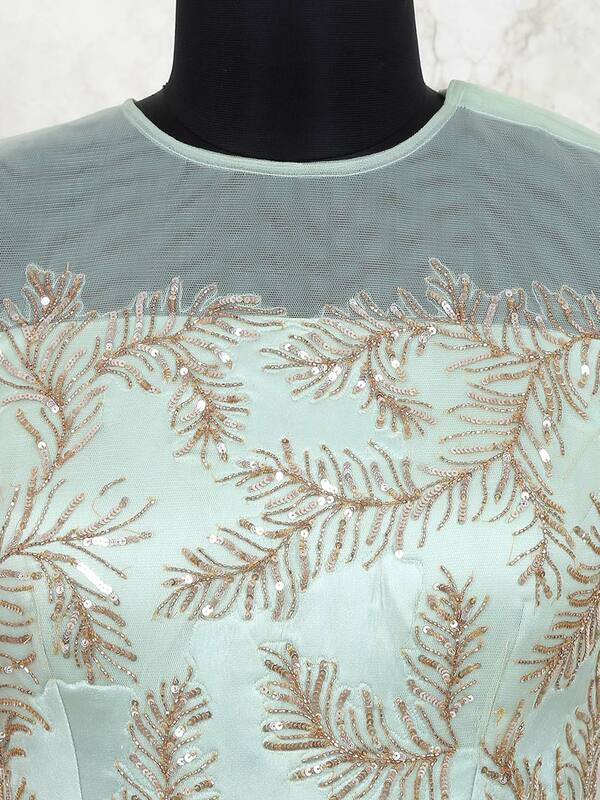 Beautify with cutdana and sequins work through out the attire. 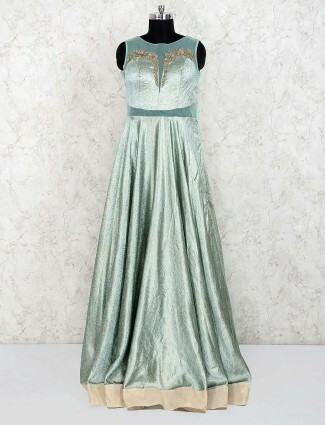 Featuring round neck and sleeveless deign.